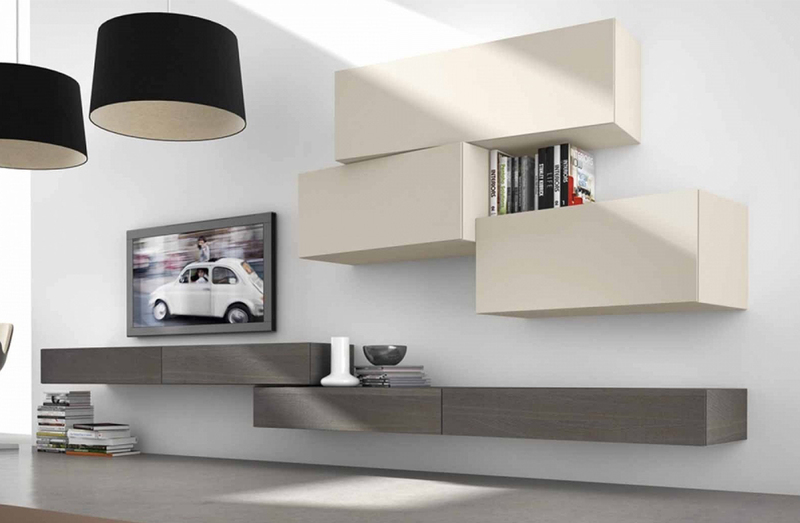 Modular media unit composed of wall mounted cabinets available to order in numerous dimensions, layouts, and materials. Please contact Usona for additional details and custom configurations. Please see ADDITIONAL SPECS for sketch.